On March 29th 2019, John Hughes’s very decorated career and business was celebrated once again. Showing outstanding courage and dedication, the John Hughes Group has weather many economic environments, and changes to every facet of a business, and today we stand together 50 years on. 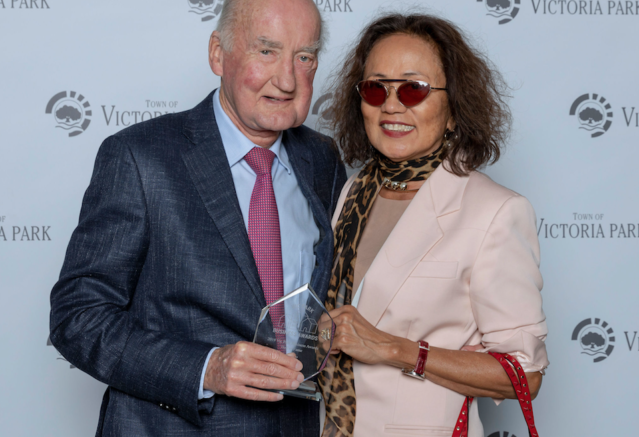 The Town of Victoria Park decided to celebrate the wonderful achievements and diversity of the business that call this town home, by introducing their very own Vic Park Business Awards. Businesses within the town were to complete to be names Business of the Year in the inaugural Vic Park Business Awards. These awards are an opportunity to showcase and recognise local business who have excelled in their fields. Shown inspiring leadership and achieved a level of respect within the business and public communities. Not only can the Group tick these off, we can safely smash them out of the park! We would like to take one more opportunity to congratulate the entire team at John Hughes, and Mr John Hughes himself, for such an outstanding achievement.